In an industry faced with a shrinking subscriber base, one cable company embraces FUD. And fails. If you visited Cox Communications’ website earlier this week, you might have been treated to a stunning display of fear over people abandoning their cable TV. Debunking cable-apologist myths is one of my favorite pastimes, so I quickly dedicated this week’s column to tearing Cox’s argument apart. But when I checked back on Cox’s website on Tuesday, the article was gone. Fortunately, Google cached the whole thing, and I’m not about to let some good old-fashioned cable-company shaming go to waste. Take a look at Cox’s pathetic propaganda for yourself, and then let’s dive into where it went wrong. Cox’s article says it charges $95 per month for 220 channels and 15Mbps Internet. Cox’s website actually shows a lower price of $80 per month for the same package, but that’s before you add a cable box ($8.50 per month for each HD receiver, or $20.50 per month with DVR) and fees (including $3 for broadcast channels). It’s also just a teaser rate that increases by $24 per month after one year, and by another $21 more after two years. All told, the regular price of Cox’s service is roughly $145 before taxes—and that’s for a single box with no DVR—compared to $53 per month for Internet alone. Once the discounts run dry, cutting the cord would save you at least $92 per month, or $1,102 per year. 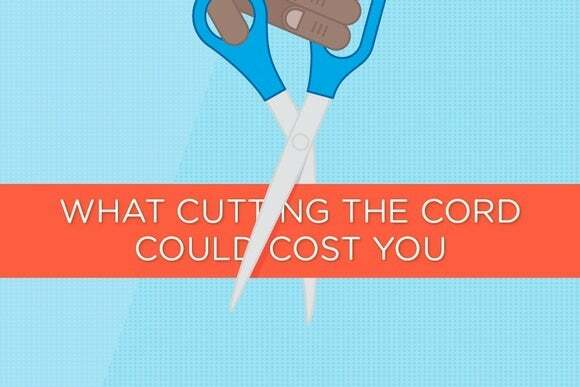 The header image for Cox’s anti-cord-cutting missive, before it was wiped from the company’s website. After misrepresenting its own prices, Cox then moves onto the alternatives, noting that you’ll need a smart TV, an HDMI hookup for your PC, or a streaming box like Roku or Amazon Fire TV to watch online video. This is all true, but can you spot the errors in the following passage? Alternatively, you could invest in the Amazon Fire TV Stick ($34) or Roku ($50-$90), Sling TV ($0-$50), PlayStation 4 ($400) or another device that operates over WiFi. Sling TV and PlayStation Vue have associated monthly costs of $20 and $50-$70, respectively. If you’re still guessing, Sling TV isn’t a hardware device at all. It’s just another streaming service like Netflix or Hulu, which runs on a variety of devices. Same with PlayStation Vue. Either Cox doesn’t know what it’s talking about, or it’s deliberately conflating things to cover for exorbitant cable-box rental fees, which don’t exist once you’ve cut the cord. Moving on, Cox admits that you could save money by limiting yourself to just a couple of streaming services, but it then warns that “you won’t have access to premium content from Starz or Showtime or local broadcasting.” It seems the company has forgotten that you can subscribe to Showtime without cable now, and that high-definition broadcast channels are free with an antenna. Starz is also now available as an add-on for Amazon Prime subscribers. An antenna, like this one from Mohu, provides free broadcast channels in HD. Cox would prefer you didn’t know that. Do you watch the 5 o’clock news? Are you a fan of Sunday sports? An avid Game of Thrones viewer? When you cut the cord, you might find your Sundays and weeknights spent not in front of the TV, as many streaming services don’t include local, sports or premium channels. 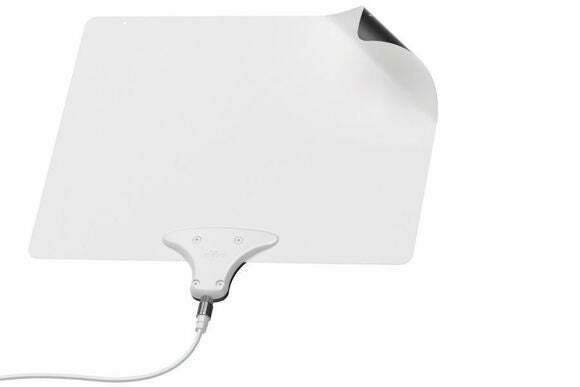 Local news and Sunday sports are both available through an antenna, and if you need more news, streaming apps like WatchUp, Haystack, Pluto.tv, and CBSN have you covered. As for Game of Thrones, HBO Now offers cord-cutters the latest episodes as soon as they air. Cox attempts to bemoan “streaming services’ finite catalogs,” yet the number of streaming services is exploding, often with shows that are more interesting than what you get on cable. Smart TVs have a lot of benefits—high quality LED screens, fast refresh rates and all-in-one remotes—all neatly packaged as a one-device setup. So, hooking up an HD-DVR like Contour from Cox is as easy as plugging in the HDMI cord and power source. And that’s the only set of cables you’ll need—or see. Three cheers for quality TV, only one device to dust and no unsightly cables! Unfortunately the same can’t be said for non-Smart TVs and many over-the-top streaming services. Roku, Sling TV and Playstation Vue require specific hardware, which means more cables, more power cords, and more real estate in your entertainment center. The smaller HDMI-based “sticks,” e.g. Google Chromecast, Roku’s Streaming Stick and Amazon Fire TV Stick, have smaller profiles and can make your TV smarter, but offer lower processing power and lack additional features including WiFi capabilities (Fire TV Stick) and motion sensors for gaming (Roku Streaming Stick). All of those devices support Wi-Fi, so that’s another a basic factual error. And unless Cox’s cable boxes support motion-control gaming, I’m not even sure why the Roku stick’s lack of gaming is even relevant. What’s more, setting up hardware-based over-the-top services can be troublesome: choosing the correct inputs and syncing your TV volume control across all the remotes can be challenging. And speaking of remotes, do you really want another one sitting on the coffee table? Or potentially getting lost between the couch cushions? A lost remote could mean no access to Netflix, Hulu Plus or HBO Go. I’ll grant that juggling multiple remotes is a hassle, but it’s becoming less so now that devices like the new Apple TV and Nvidia Shield Android TV have volume controls built into their remotes. And I’m sorry, but plugging a box into a TV’s HDMI port and selecting the corresponding input on the TV is a basic technological skill that people ought to have. If Cox’s point about remotes is that the cable box’s version is too clunky to lose in a couch cushion, I’m prepared to concede that as well. Oddly enough, Cox didn’t even mention its strongest point against cord cutting, which is that the company imposes data caps and overage charges. Perhaps that would come a bit to close to admitting that such caps are more of a revenge tactic against cord cutting than a necessity. Look, I’ll be the first to admit that cutting the cord doesn’t guarantee some utopian TV experience. There are many unsolved problems in streaming video, from surfacing content across apps to ensuring reliable delivery during peak demand. 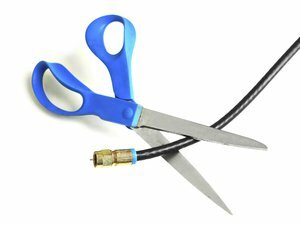 Cutting the cord won’t even save money in all cases, especially if you depend on a lot of specific cable channels. But as time goes on, more people will be served by a smaller number of streaming alternatives finely tuned to their interests. Cox knows exactly what the future holds, and just showed us how desperate the company is to delay what’s coming. Maybe that’s why all traces of the article have vanished from Cox’s site. Editor's note: Cox Communications has reposted "What Cutting the Cord Could Cost You" after making numerous corrections and excising some of its misleading observations.